Coaches Corner is back and this week we bring you a long conversation we had with Christian Brothers Academy (NJ) head coach Sean McCafferty. Coach McCafferty took over one of the most successful boys programs in the country from legendary coach Tom Heath in 2016 after spending two years as an assistant. 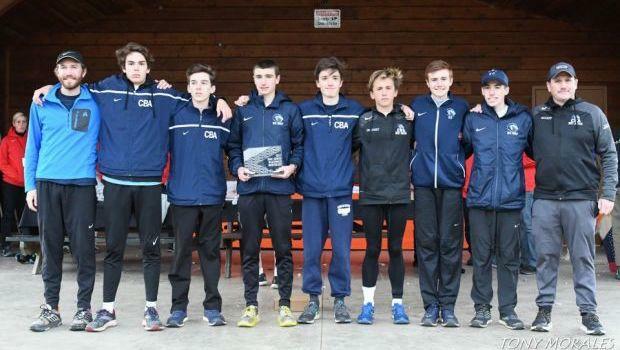 Heath coached the CBA boys from 1970-2015 and started possibly the most illustrious winning streak in the country - a dual meet winning steak that currently sits at 364. Coach McCafferty spoke on a variety of topics ranging from program traditions to training cycles to teaching Latin as Parker and Kyle snaked through their stream of consciousness. Check back every Tuesday for more interviews with the top high school coaches across the country. You can also like, rate, and subscribe to us on iTunes! 13:33 - "We race the race we're in"
28:32 - What's on your reading list? *We were out of town last week - you can expect another episode coming next week!